Vice President Mike Pence's physician reportedly had some heated interactions with US Navy Rear Adm. Ronny Jackson, President Donald Trump's physician. The physician reported that Jackson stepped out of line by intervening in a medical situation involving the second lady, Karen Pence. Jackson may have violated her privacy rights by briefing multiple people on Karen's medical information, according to the physician. US Navy Rear Adm. Ronny Jackson's professional conduct is under renewed scrutiny after Vice President Mike Pence's physician was reported to have had a series of heated interactions with Jackson, according to a CNN report Monday. According to internal memos, the physician documented the interactions with Jackson, President Donald Trump's physician, which included an incident in which Jackson may have violated federal privacy rights for the second lady, Karen Pence. The memos reported that Jackson stepped out of line by intervening in a medical situation involving Karen in September 2017, according to CNN. The memo continued to say that Jackson may have violated her privacy rights by briefing "multiple parties" from the White House on her medical information. Pence's physician took issue with the incident and confronted Jackson, but was left intimidated by his unprofessional conduct that made it an "uncomfortable" situation, according to CNN. Karen, who was told about the encounter, "also expressed concerns over the potential breach of privacy of her medical condition," the memo said. 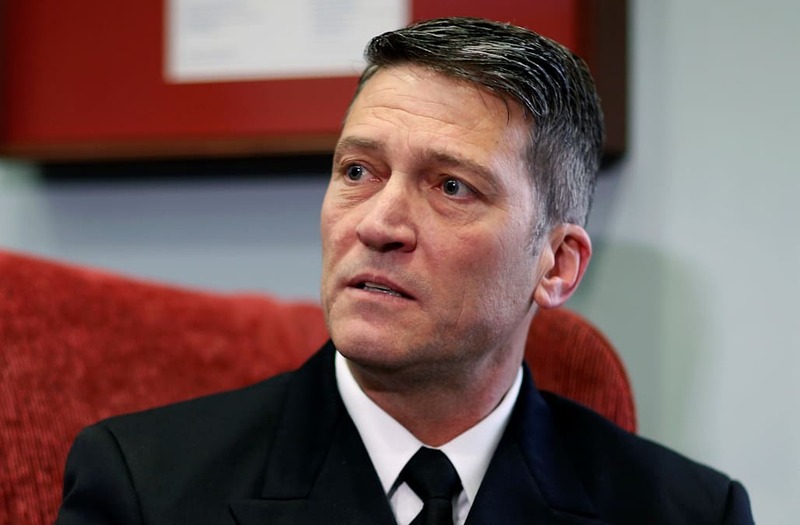 Jackson's supporters defended him by saying he and the physician had a "strained relationship," and that the incident was merely a dispute between two doctors, according to CNN. Last week, Jackson withdrew his nomination as Trump's pick to lead the Veterans Affairs department after allegations of excessive drinking at work, contributing to a hostile work environment, and improperly dispensing medications were leveled against him. Jackson and White House officials, including Trump, have continued to deny the reports. Meanwhile, the Pentagon's inspector general received word of the accusations and is assessing whether a formal investigation is necessary, according to The Washington Post. As an active duty naval officer, Jackson is still subject to the Pentagon's oversight and justice system.